Speaking to The J Times from his Detroit recording studio, American rapper, singer, songwriter and part-time Hockey player Marshall Mathers known more popularly as Eminem and considered to be one of the top music artists in the World said today that his latest music video titled ‘I Need A Doctor’ is a tribute to the Hon-her-able Chief Minister Of Tamil Nadu Dr.Kalaignar M.Karunanidhi and not actually fellow rapper Dr.Dre as commonly thought to be. 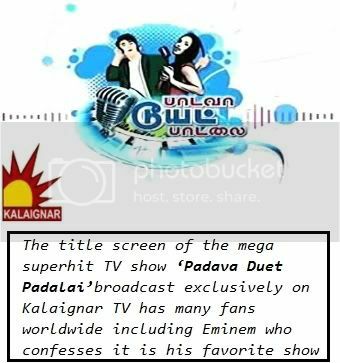 “As a young boy growing up in Detroit I realized the social message that Dr.Kalaignar was trying to spread in his speeches and it’s the same messages that I try to spread through my music” Eminem said as he waved an Agarbatti at a photo of Dr.Kalaignar in his recording studio. “That’s when my heart started pumping faster with excitement. I touched Dr.Kalaignar’s feet and started performing to an overjoyed crowd. It was so awesome to see Dr.Kalaignar hanging out with me on stage. 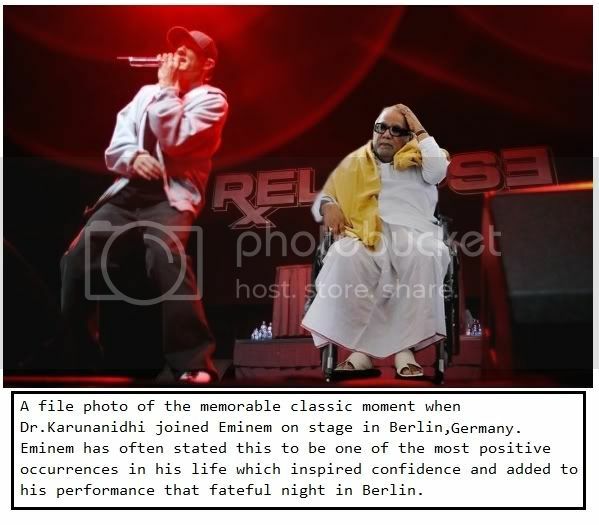 Even the German fans went wild seeing the scion of Tamil Nadu politics on stage with their favorite rapper. 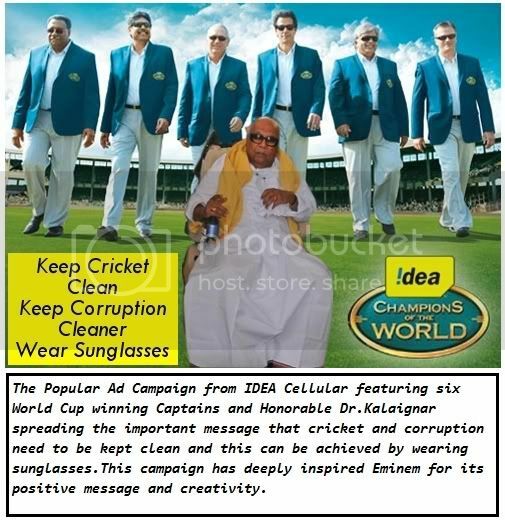 Later I realized that Dr.Kalaignar had flown all the way from Chennai to Berlin just to give me moral support. What a great man!” Eminem recalled as his eyes filled with tears remembering the emotional moment.